What can you do when you only have two years left under the sun? You can, for instance, keep to yourself and lose all contact with reality. You can spend all this remaining time feeling sorry for yourself and crying… But I decided to act in a completely different way: if you have just a few years left to live, then why not enjoy yourself to the fullest? But how would I do that? It’s a piece of cake, since there is a virtual reality I can run to. And, as I’ve found out, there is a new project being launched pretty soon, about which only scarce info has been given by different sources. The only information available is on the official website of the game Alfarome. Well, I’d love to go back to the old good days, when I was young and hale. Taking into account my past, this kind of virtual world will be just perfect for me! 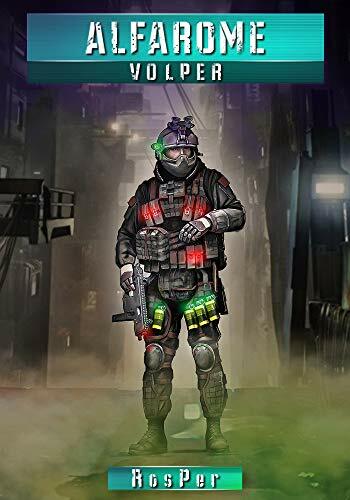 This is a good slice of life LitRPG story where the setting is a sci-fi MMO in the far future. The main character (MC) uses his real life experience as a retired soldier to get a leg up in this full immersion world where there are cyborgs, mutants, psionic abilities, and lots and lots of guns. Storywise, you’re really just following the MC around as he figures out the world, kills monsters, delves dungeons, and makes allies among the NPCs and other players. Game mechanic wise, things are pretty good. The story has regular gamer jokes, lots of detail about the various game mechanics, and theory crafting about how best to advance. There are also lots of item and skill descriptions. Overall, this is a good story. Combat is well described and actiony. The story has good pacing and I found myself reading it all in just a couple of sittings. The MC is interesting and the story makes you want to see how he’ll outsmart his opponents next. Good stuff.